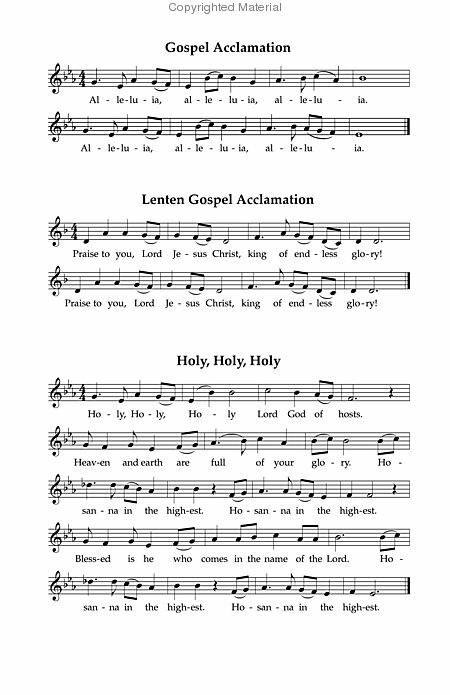 Parishioners are encouraged to use this page to familiarize themselves with the current mass setting. 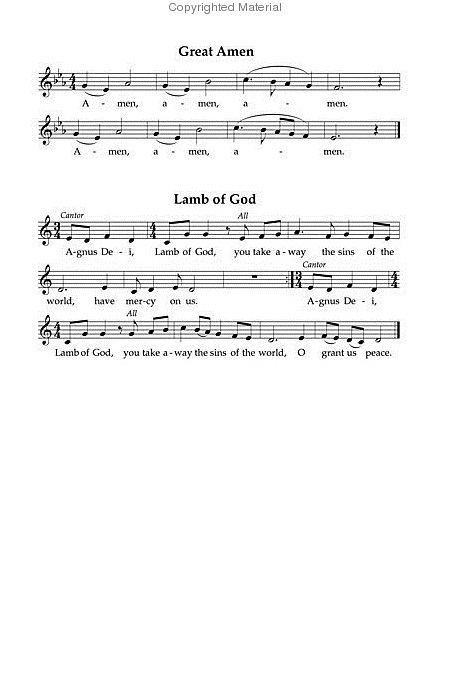 Featuring memorable tunes, this simple and direct hymn-like setting will instantly grab your assembly’s interest. 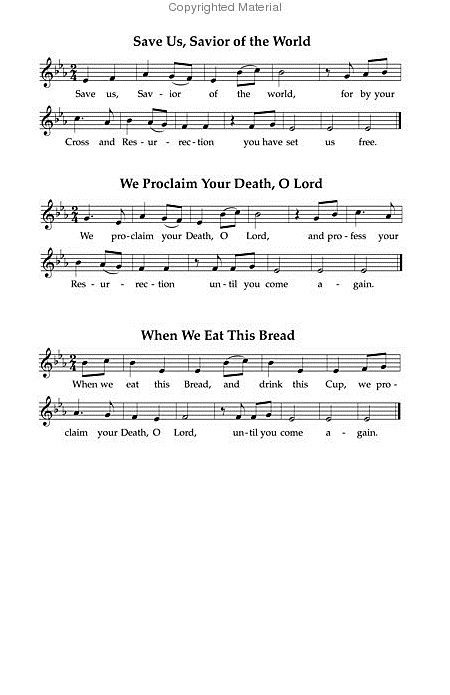 Composed to meet the needs of the average parish, the recurring melodic themes will help you teach this Mass to your congregation with ease. During the ordinary and more joyous times, SJV will be singing the award-winning Mass of Renewal by David Kauffman and William Gokelman. 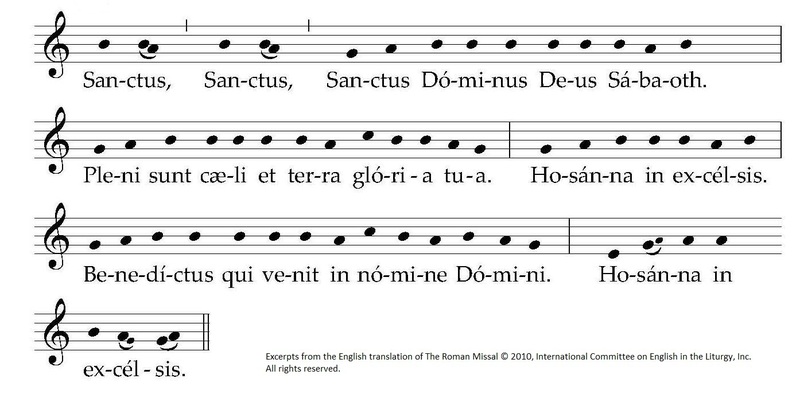 NPM invited composers to create musical settings of the new English translation of the Mass. A panel of five judges selected four finalists to be rated by convention participants who awarded Kauffman&apos;s Mass of Renewal 1st place from more than 150 entries that were submitted. A worthy and dignified setting perfect for any Sunday Mass and festive occasions. 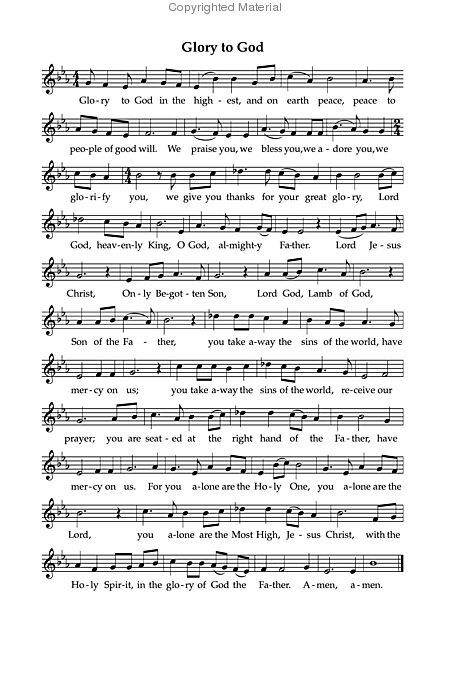 The solid and satisfying keyboard parts support the singing assembly splendidly.